Howard was listed in Super Lawyers™ in 2009, for the 4th year in a row. What is a Super Lawyer™? Super Lawyers™ are the top 5 percent of attorneys in each state, as chosen by their peers and through the independent research of Law & Politics Magazine. In selecting attorneys for Super Lawyers™, Law & Politics employs a rigorous, multiphase process. Peer nominations and evaluations are combined with third party research. Each candidate is evaluated on 12 indicators of peer recognition and professional achievement. Selections are made on an annual, state-by-state basis. Super Lawyers™ inducts only 5% of the attorneys in any given state. Early in 2006, the first year Super Lawyers™ came to our state, Super Lawyers™ released the 2006 honorees in North Carolina. Howard was included on that very short list. He has been voted into Super Lawyers™ every year since. Super Lawyers™ Magazine is published in all 50 states and reaches more than 13 million readers. The Business North Carolina Legal Elite List is a peer review list sponsored by Business North Carolina Magazine. The magazine has compiled and published the list since 2002, however, family law was not added as a category until 2009. This year’s list includes 621 lawyers from 14 fields of practice representing a little more than 3% of lawyers in the state. Howard Gum was the only lawyer in Western North Carolina to be so honored in the field of family law. Business North Carolina’s Legal Elite is unique as the only award that gives every active lawyer in the state the opportunity to participate in the statewide voting process. Best Lawyers compiles lists of outstanding attorneys by conducting exhaustive peer-review surveys in which thousands of leading lawyers confidentially evaluate their professional peers. In the U.S., Best Lawyers publishes an annual referral guide, The Best Lawyers in America, which includes 39,766 attorneys in 80 specialties, covering all 50 states and the District of Columbia. 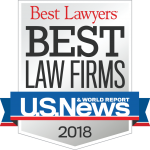 Founded in 1981 and first published in 1983, Best Lawyers is the oldest lawyer-rating publication in the U.S., and the gold standard for accuracy and integrity. The current, 16th edition of The Best Lawyers in America (2010), is based on more than 2.8 million detailed evaluations of lawyers by other lawyers. Howard Gum was first selected to this Best Lawyer’s list in 1989. Of the more than 19,000 lawyers in the state, 19 family law attorneys appear on the Best Lawyers in North Carolina. Patrick McCroskey, is also a Best Lawyers honoree.